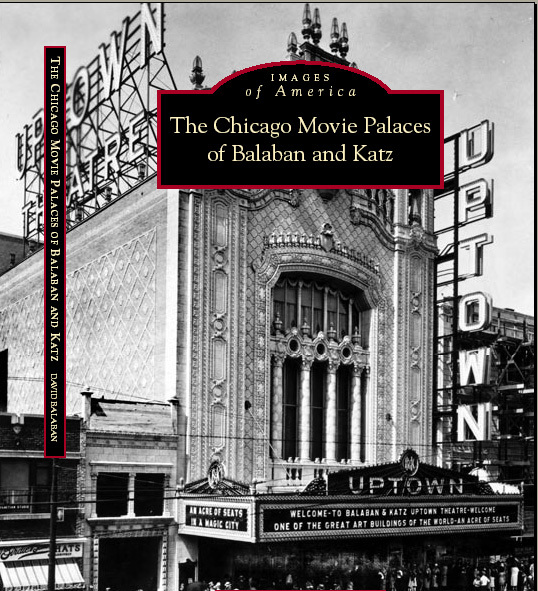 Order your copy of the new book by David Balaban entitled,"The Chicago Movie Palaces of Balaban and Katz". It is available from all on-line book sellers such as Barnes and Noble.com. Amazon.com and Walmart .com. to flirt with the wrecking ball. seat behemoths that became landmarks. considered a tremendous privelege, not a thoughtless pastime. not just walls, a ceiling and a projector. began catering to metal bands and punk acts is a fair tradeoff. on a daily basis downtown.